The LDP faces a puzzle: what is the voting criteria when both credible candidates for the party presidency are from the same faction? Policy? Fukuda has clearly stated his intent to stay away from Yasukuni in the hopes of winning the votes of the Ajia-gaiko yusen groups like the former Komoto faction. Abe has been cagey about Yasukuni but one must consider sanpai his default position. As for the other big issue, whether or not to raise taxes to cover the fiscal deficit, Abe has not been adverse to letting people believe he will follow the Koizumi-Takenaka line of economic growth first-fiscal sanity later--or never. Fukuda, by contrast, is deep in "serious"mode: the fiscal outlook of Japan is "serious" and he is "serious" about finding a solution. However, the last thing any LDP Diet members want is a vote on policy. Having to choose between Abe or Fukuda based on policy differences would mean having to take a stand and make a commitment. Worse yet, the new party president and the public might even believe the LDP had a duty to carry out the winner's political program! Personality? Best not to go there. Age? Ahh, now we are getting somewhere. Fukuda is 69. He will be 70 in September. Former prime minister Mori Yoshiro has been wailing to any microphone pointed in his direction that he has lost control of his faction ( As if he ever had any... ). According to Mori, most of the faction's elder members want Fukuda to carry the faction's standard in the September election. Not surprising, as these codgers are looking out for the faction, not the country. For the faction, the best plan is to send Fukuda to go up the hill first. He gets shot to pieces for trying to reduce the fiscal deficit and making nice with China. After a final, mortal wounding following a calamitous House of Councilors election, Fukuda resigns, allowing Abe to replace him in an immaculate ascension. Abe then pulls a Koizumi and reigns for five years. Faction gets three prime ministers in a row and eleven years of the party presidency. QED. 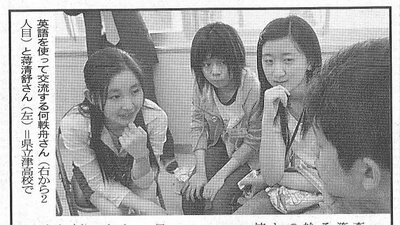 Younger members of the Mori faction, much to Mori's annoyance, do not favor the "sacrificial lamb as party president and prime minister" theory. The younger generation's nembutsu is the Koizumi "I know this sounds dumb but none of the faction leaders seems to get it" Rule: the duty of the party leader is to win elections. While losing may be bad for the party leader, it is a disastrous for younger members. Electoral losses are always heaviest among those with the shallowest political base. The concerns of the younger members of the Mori faction are shared by the younger members of other factions. Hence the emergence of the "League of Lawmakers in Support of a Renewed Challenge" (Sai charenji shien giin renmei), a cross-faction study group whose name plays off the "second chance in life" theme pushed by Abe. While "Renewed Challenge" claims to be non-partisan, it is so transparently an Abe support group that LDP Secretary-General Takebe Tsutomu has seen it necessary to warn members of the party central executive down to the deputy secretary and parliamentary affair deputy secretary level to stick to their knitting. 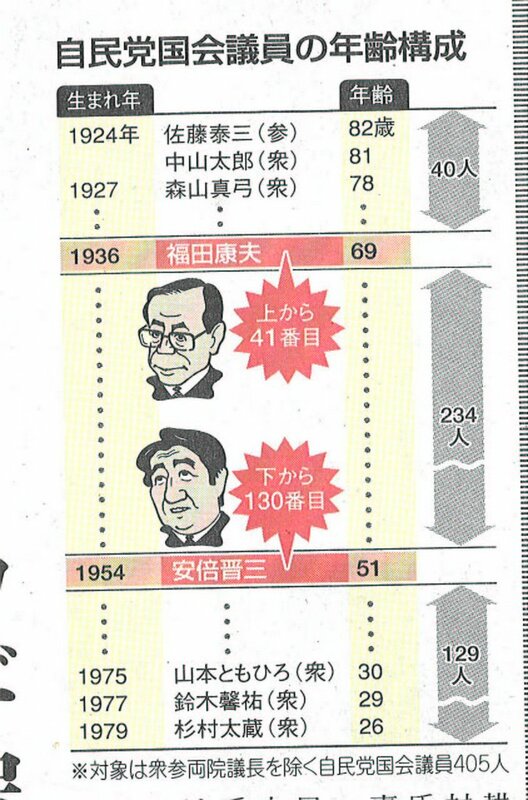 Which brings up the interesting graphic in the May 29 Tokyo Shimbun accompanying that paper's take on Fukuda's chances in the struggle for Diet member votes. 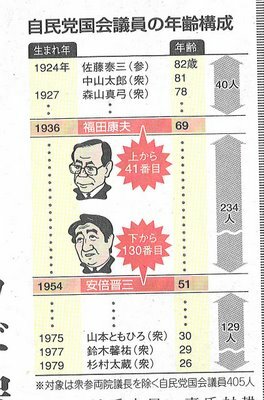 According to the graphic, at 69 years of age Fukuda is 41st among LDP Diet members when ranked in descending order according to age. 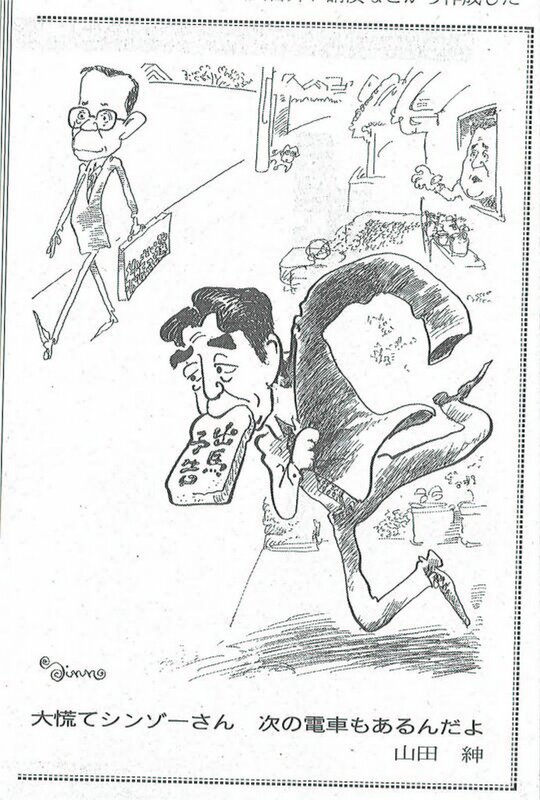 Abe, at 51 years of age, is ranked 275th, with 129 LDP members his junior. 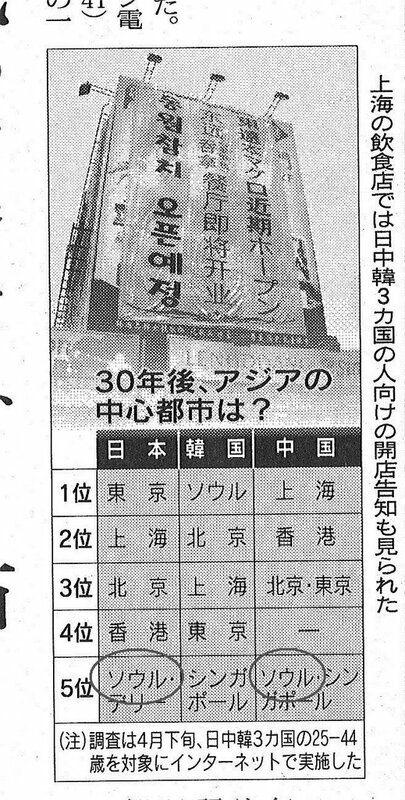 The mystery lies in what will motivate the votes of the 234 lawmakers whose ages place them in between Fukuda and Abe. These Diet members are in their fifties and sixties; they know that under under normal rules they would be ministerial and party executive material. Some may even harbor illusions of running for the party presidency next time around. They fear, with good reason, that an Abe victory in September would be interpreted as their generation's abdication of the party leadership to the generations born after 1954. In order to keep open their options, they might be tempted to support Fukuda now, possibly pocketing a ministerial or party executive post as compensation for their vote--then switching horses next year. Add to this the zeitgeist that a vote for Fukuda is a vote against Koizumi's bulldozing of the factions and one senses that Fukuda's chances among members of the Diet are a lot better than the newspaper popularity polls or even a canvassing of the membership of the Diet might indicate. ...but I kinda like it. The salaryman in me remembers those days of yore, running for the Chuo Line after dropping the younger one off at the hoikuen and making sure the older one was off to school. Faction leader Mori Yoshiro - "Hey! 'In A Great Hurry' Shinzo, you could catch the next train you know." Courtesy: Sankei Shimbun. May 26, 2006. Were it that it were the topographic outline of a day hike in the Japan Alps, possibly the second day of a two-day, multi-summit trip. Or deaths from mesothelioma, after farsighted MITI bureacrats banned of the use of blue asbestos in construction and manufacturing in 1969. Anything but what it is--the likelihood that if you are taken into police custody, you will see the sky again before your trial begins. It is a sobering, infuriating graph--indicative of a silent systemic failure. And do the editors understand what they are printing? The Trend of "Releasing Them on Bail Even When Thy Deny They Committed a Crime"
"Even when" they deny committing a crime? "Even when"? Bowels of Christ, think it possible they might be innocent! Miyauchi Ryoji, the former chief financial officer of Livedoor, will plead has pled guilty today to the charges of falsifying financial documents. He will be a witness for the prosecution in the case against Horie Takafumi when his case is brought before the court sometime this summer. 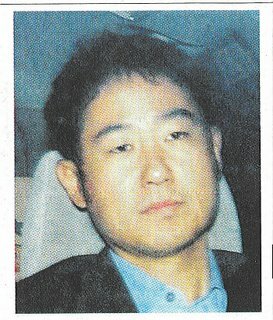 Here is a picture of Miyauchi Ryoji at the time of his release from jail on March 17, printed in last evening's Asahi Shimbun. Not even the shave can hide it: he is a shell of a human being. He is not even happy to be free. He has been held in solitary confinement in an unheated 2 meter by 3.5 meter cell since January 23 during what was the coldest winter in recent memory. He has probably been interrogated every day, for hours at a stretch. He has been repeatedly offered false promises of leniency should he turn against Horie. His lawyer has been from the outset advising him to agree with the prosecutor's version of events, even when he knows what the truth is. Here is the story being told in the press of Miyauchi's decision to become the Diana Rigg of Livedoor. See if you can spot the inconsistencies. Immediately following a police investigation of Livedoor headquarters on Jan. 16, Miyauchi considered how best to defend Horie and protect the firm from being delisted from the Tokyo Stock Exchange. To this end, he assembled the company's executives, including Horie, to discuss how to deal with the investigation. According to the sources, Miyauchi issued a proposal to those gathered: "We should only protect the president. If we are investigated, we should tell them I made all the decisions." However, Horie did not seem to pay any attention to Miyauchi's proposal. Instead he repeatedly denied his own involvement, saying, "I didn't know anything, right?" Seeing that Horie was only concerned with protecting himself, Miyauchi decided it was a fool's errand to defend Horie, and instead opted for a clear break from the now former Livedoor president. Since his arrest on Jan. 23, Miyauchi has told investigating prosecutors of Horie's mind-set and the particulars of his participation in Livedoor's alleged account padding. First, forget the little chronological problem of Miyauchi's having been in China at the time of the evening raid--making it impossible for him to assemble the company's executives immediately to cook up a cover story. Forget also that Horie was in his apartment all night long January 16-17 as investigators went through his things, then went on television from 7 a.m. with a story he has not changed one iota since. Second, forget that Miyauchi supposedly is disenchanted that Hories denies involvement in any crime after Miyauchi instructs everyone at this assembly that they should protect the president above all else...and that if anything comes up, they should blame him--that is to say Miyauchi. At that point, isn't Horie following Miyauchi's instructions? No, let's concentrate on the biggest problem of all--and by this I do not mean the morning Yomiuri accounts's and last night's Asahi account's both relying solely on the infamous, anonymous "sources close to the investigation" rather than first-person quotes from the folks involved. Miyauchi is arrested on January 23. He has already decided to sell Horie out. He tells the prosecutors everything, everything--including "particulars of Horie's mind-set." He is released 54 days later. 54 days? In solitary? When he is cooperating fully? One of the questions that kept nagging at me regarding the China-Japan high school student exchange program (here and here) was how the Chinese government was going to find enough high school age Japanese speakers amongst the children of politically safe families. When today's Chinese and Japanese teenagers get together, they communicate by speaking in English. Sugawara no Michizane and Natsume Soseki must be turning in their graves. What the heck are they thinking? Shoot, let's ask 'em! Yesterday the Asahi Shimbun published results of a telephone survey it conducted on May 20-21. The raw numbers, if not the analyses, reveal a something of a disconnect between the public and the lurkers and reprobates denizens of Nagatacho. and is followed by a minute dissection of the voting patterns of the various sub-groups of voters in either their pro-Abe, contra-Abe, pro-Fukuda and contra-Fukuda flavorings. 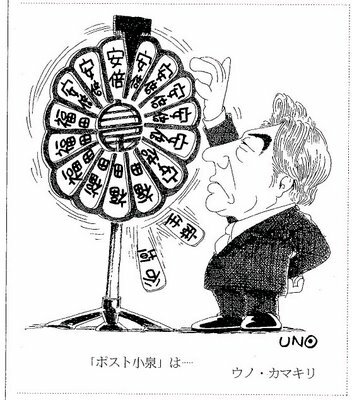 May 24, 2006 - Shinzo Abe remains the voters' top choice for next prime minister, but Yasuo Fukuda is quickly closing in, an Asahi Shimbun survey found. Abe, the hawkish chief Cabinet secretary, was supported by 41 percent of respondents in the weekend survey, compared with 29 percent for Fukuda, former chief Cabinet secretary. Now all this is fine and good (for the record "Somebody Else" trounced Aso Taro and Tanigaki Sadakazu in the division of the remainders. Aso received 3% support and Tanigaki 1%. "Somebody Else" waltzed away with 16%) but the only noticeable difference between Abe and Fukuda is Abe's reticence to talk about the possibility he might visit Yasukuni and Fukuda's definite "No" on the subject. 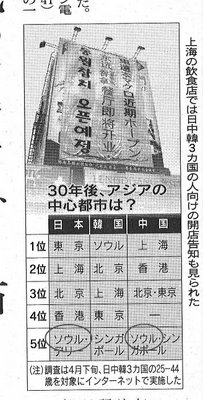 The funny thing is the Yasukuni issue is tied for last place in the top five concerns of the voters...and wow, check out the issue with which it is tied! "Upon what issue would you want the next prime minister make a special effort? (Choose only one)"
Now let me see here...fiscal reconstruction is a) cutting spending and b) increasing taxes. Gosh, that sounds like a sure political winner...what, Mr. Okada? You have a comment? Why am I listening to you anyway: you're not an LDP member. So whether or not you have a comment is irrelevant. Sooo...the "improvement of diplomatic relations" --the main only difference between the two top candidates--is just as popular a topic as raising taxes and cutting spending! Me thinks I am witnessing a double dose of self-laceration in the basement of the league tables. Whatever mortification of the flesh this combined 28% wish to inflict upon the Japanese body politic--it is fascinating to see how marginal the real concerns of the voters are to the selection of Koizumi's successor. So much for the effective impact of populism, eh Mr. Wehrfritz? Now in contrast with the Nagatacho crowd's navel-gazing over the Abe/Fukuda duality, the survey revealed a fairly ticked off electorate. 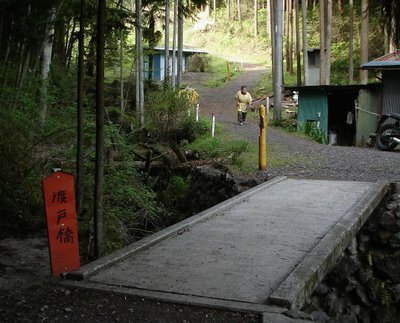 May 24, 2006-About 84 percent of polled voters say the government has not sufficiently explained the realignment of U.S. forces in Japan, a hugely expensive plan that the public will have to pay for, a survey showed. Tokyo and Washington agreed on the realignment plan earlier this month, but the telephone survey conducted by The Asahi Shimbun showed that only 6 percent thought the government has fully explained details of the plan to the public. As for the agreement between the two governments that Japan will pay 700 billion yen to relocate the Marines to Guam, 77 percent said they could not accept such a financial burden. Only 17 percent said the bill for Japan was acceptable. Among those who support the Cabinet, only 25 percent said they accepted Japan's financial burden, while 69 percent said they found it unacceptable. Gosh, how do you like those support numbers, Mr. Lawless--Japan's $26 billion dollar man? 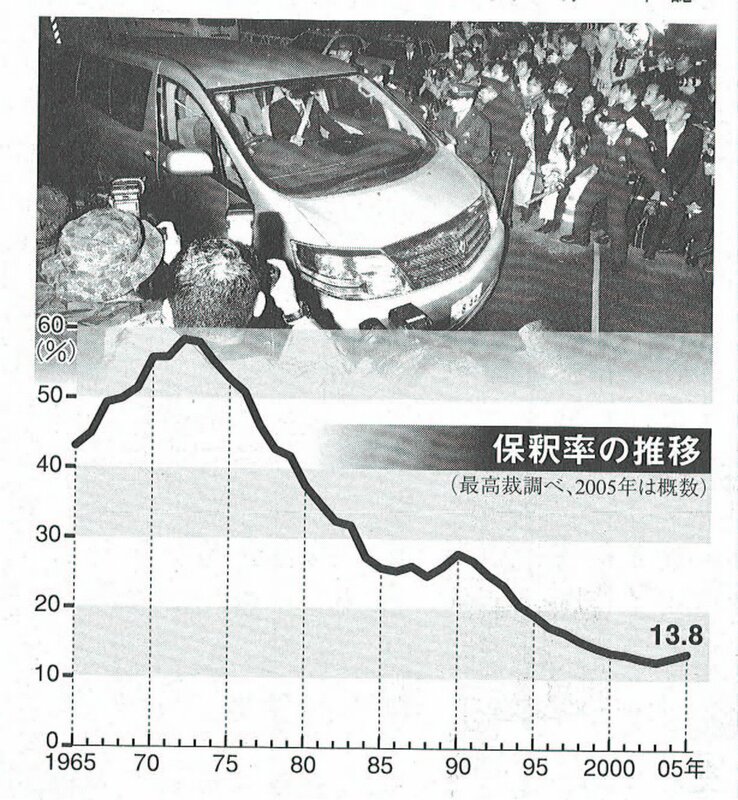 Not a pretty picture for "Minister of State for Defense" Fukushiro Nukaga (hmmm...when did the folks at the JDA get the go-ahead for that dodgy locution?). The general public seems to feel Nukaga got rolled in Washington. Mayhap because he, in fact, did get rolled? By far the most interesting results were the responses to the questions asked about the "patriotism" clause in the revision of the Basic Law on Education. "As regards the Basic Law on Education, which sets down such things as the principles at which education should be aiming, the government has presented to the Diet a bill offering a revision to the text. The Democratic Party has also compiled a revision. To what extent are you taking an interest in the revision of the Basic Law on Education?" "Now as regards the revision of the Basic Law on Education, the "patriotism" problem has become a focal point. How patriotic do you feel yourself to be?" "Do you agree or disagree that "Love of one's country" or "Love of Japan" should be one of the goals of education set down the Basic Law on Education? "What should be done regarding the revision of the Basic Law on Education?" Finally, Chinese and Japanese agree on something! This morning's Nihon Keizai Shimbun has a wonderful table in its upper lefthand corner. The data upon which the table is based--a tri-national Internet survey of persons 25-44 years of age--is dubious in its statistical validity. So Japanese think Tokyo will be the core city of Asia in 30 years time. Chinese think it will be Shanghai. South Koreans think it will be Seoul. Chinese think Tokyo will be no better than #3 in 2036; South Koreans think it will be #4. No surprises there, I guess. Somewhat interesting is the tie between Beijing and Tokyo for the #3 ranking among Chinese correspondents. But look! At the bottom! Chinese and Japanese share a disdain for the shining city on the Han River, ranking it #5 alongside Singapore and New Delhi. You see, the views of the two peoples are not so far apart after all. Finance Minister Tanigaki Sadakazu made a virtual declaration of his candidacy for the position of LDP president last night. Tanigaki's unwillingness to come right out and declare himself a candidate shows perhaps a bit more common sense than we are used to seeing from him (a sensible proposition from Tanigaki being notable mostly for its lonesomeness). All the newspapers this morning noted that he has virtually no chance of becoming Japan's leader. 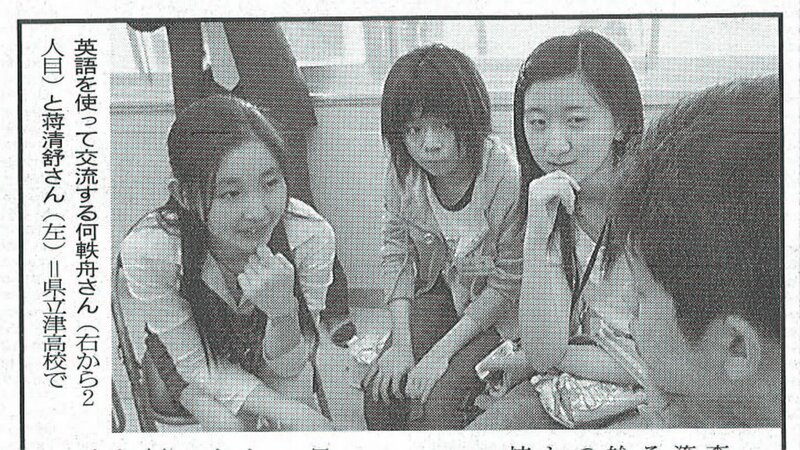 Yomiuri Shimbun, 16 May 2006, morning edition, p. 4. All of which is to the good, as Tanigaki has today managed to blow everyone's collective minds out as regards currency markets. TOKYO (AFX) - Japanese Finance Minister Sadakazu Tanigaki told parliament that in theory it is possible that the government will sell its holdings of US Treasuries to fund future intervention in the currency market. 'We have to be ready for such an occasion to use them, but I would not comment how high such possibility can be,' he added. You cannot comment how high such a possibility can be? I can. The possibility is zero. Because--parliamentary testimony to the contrary -- you cannot sell U.S. Treasuries for use in foreign exchange interventions, even "in theory" -- unless you intend to use those funds to strengthen the yen. Which the Japanese government does not want to do. Ergo, the possibility is zero. Now, I know Tanigaki has been Minister of Finance for only a brief time...ok, two and a half years...and during that time he has had to think about the yen-dollar exchange rate only about...every single day. I also know I cannot expect a holder of a bachelor's of law from Tokyo University (special 8-year degree program) and a Japanese law degree (failed the bar 5 times) to have a specialist's knowledge of markets and prices and all that esoteric money-related stuff. And I know that it is possible that someday the yen will be plummeting like a stone... and that this fall could be so great the Bank of Japan will sell some of its Treasuries for actual dollars...that the BOJ would then use those dollars to buy yen off the spot market...reducing the world's floating supply of yen...and thus raising the yen's price relative other currencies. But we do not have that problem now...nor can I recall a single instance since the Plaza Accords of the BOJ intervening to strengthen the yen. The yen's problem has always that the yen is too strong. So, can someone please explain to me what it was that Minister Tanigaki thought he was saying? With over million Japanese now living outside Japan proper, are we going to see the end of descriptions of how insular, unadventurous, needy, tribal and close-minded Japanese are? The number of Japanese living overseas topped one million as of Oct. 1 last year for the first time since such data started to be kept in 1968, the Japanese Foreign Ministry said Monday. The number, which includes Japanese who reside abroad for more than three months or who have permanent residence in a foreign country, rose 5.4 pct from a year before to 1,013,230, the ministry said. By country, the highest number, 351,668, were living in the United States, followed by 114,899 in China, where many Japanese firms have set up, up 15.8 pct. The number of Japanese who reside in Brazil was the third biggest at 65,942, and that of Britain came fourth at 54,982. By city, New York ranked first with 59,285 Japanese residents, followed by 50,503 in Los Angeles, 40,264 in Shanghai and 26,991 in Bangkok. No, I guess not. But a human being's got to dream, believing that maybe someday all the cliches die. 60,000 Japanese in NYC? Boy, do I ever so want to open a Koseirodosho-certified hoikuen on the West Side of Manhattan. The evening edition of the Yomiuri Shimbun reports that on the all-important issue of men vs. women, the women are still on top, for the seventh straight year. Women (and girls) make up 51.6% of the Japanese living overseas. 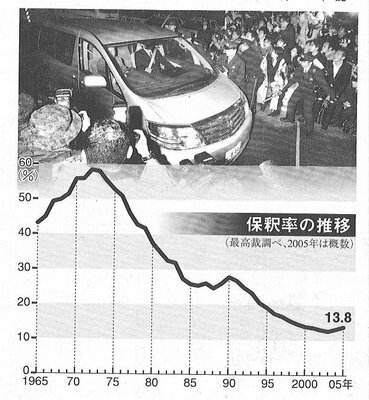 The Yomiuri also notes that for reasons of operational security, the Jieitai posted to Iraq are not included in the Foreign Ministry totals of Japanese living overseas. The Asahi Shimbun is Japan...right? The chairman of the House International Relations Committee, Henry Hyde, reportedly asked Koizumi to stop the shrine visits -- the next one expected on August 15 -- if he wants to address both houses of the U.S. legislature. Continued protests from Korea and China have fallen on deaf ears, but Hyde’s remarks seem to have caused quite a stir in Japan. Quite a stir, yessir. Representative Henry Hyde's letter to House Speaker Dennis Hastert received a top of page 2 mention in the May 14 Asahi Shimbun and...a top of page 2 reference in the May 14 Asahi Shimbun. That's it. No other newspaper or news service bothered to carry the story. Not exactly burning up the wires or the airwaves. Still, I cannot get enough of the disturbing use of "generalized over-50 Caucasian" stereotypical imagery in this cartoon. One would think that Henry Hyde has wavy hair, no glasses (a sign of genetic fitness), a receding hairline and expanding waistline. As regards the waistline, the depiction might be accurate. As you can see, Henry Hyde's head of hair is long, lush and straight, not wavy. While his hairline is receding, it is not in full retreat, as the cartoon indicates. Hyde also always wears glasses. 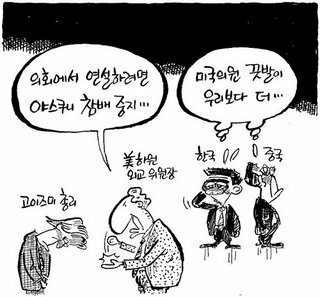 Since we are trafficking in stereotypes here, my guess is the cartoonist dropped the glasses because the resulting character would be too "Asian-looking" for the Chosun Ilbo's readership to accept as representing an American. Nothing like demonstating an utter lack of confidence in the reader's intelligence. Frankly, when I first saw the cartoon, I though the image was a crude caricature of Senator Joseph Lieberman, seen here on the left. Or maybe Henry Waxman of California, if he did not have the mustache. The poses of the three Asian figures are startling, as well. On the left we have the recondite Koizumi, bowing shamefacedly before the generalized American figure of authority. He is the schoolboy, caught fighting with the others, and is now receiving a vigorous scolding from the teacher, who pounds his right fist into his left hand in an intimidating manner. First...among many questions...why aren't Hu Jintao and Roh Moo-hyun in this picture? It is so weird to live in an America-centric world. In April, the MOF made $8.2 billion by adhering to a focused and concerted program of doing absolutely nothing. TOKYO, May 10 - Japan's official reserves hit a record high in April as a rise in the euro raised the dollar value of euro assets, Ministry of Finance data showed on Wednesday. The reserves rose to $860.242 billion at the end of April, up from the previous peak of $852.030 billion set a month earlier. Japan's foreign reserves hover around the world's largest levels, though China's rapidly growing pool took the number one spot in February. China's central bank said last month that its foreign reserves rose to a record $875.1 billion at the end of March. It has not yet unveiled the April figure. China's foreign reserves have ballooned in recent years as it fights persistent upward pressure on the yuan currency under its managed float regime. In contrast, Japan's foreign reserves have held steady around record levels since March 2004, the last time Japan bought dollars to help stem a rise in the yen, seen as helping to protect a fragile export-led economic recovery. Yes, the stated value of Japan's reserves rose to a new record height--yet Japan has not bought a dime of U.S. assets in two years. As the real value of the hundreds of billions of dollars in Japan's reserves sank, the nominal value of all the billions of euros, British pounds and Swiss francs in Japan's reserves rose. Measured in dollars--because that is the currency the world's hard currency reserves are measured in--Japan's reserves rose. So the weaker the dollar gets...the greater the value of Japan's mostly dollar-denominated foreign currency reserves. Like I said, it is weird living in an America-centric world. 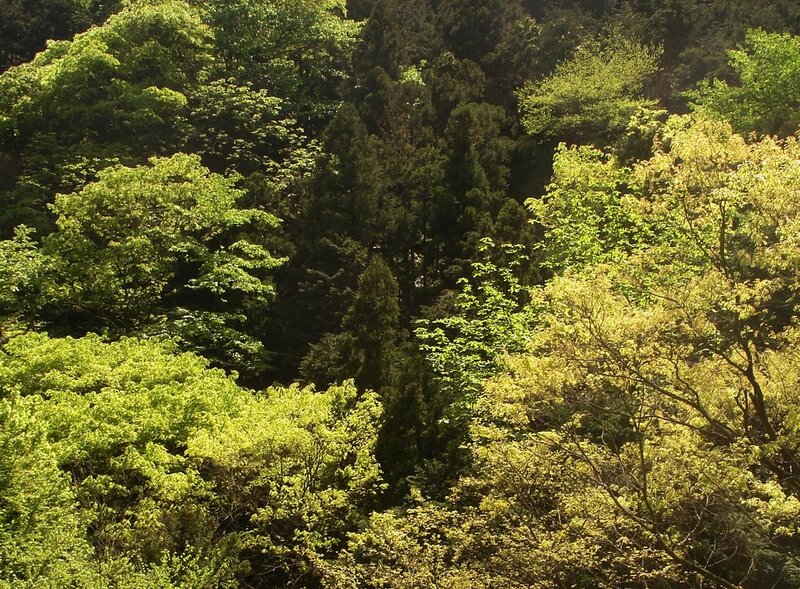 TOYOHASHI, Japan — No one knows spindles like Katsuya Hyodo. For more than three decades, the diminutive factory worker, armed with only a junior high school education, has studied and designed the whirring cylinders at the heart of automotive machine tools. "I like spindles," Hyodo says. "There are so many different kinds." His expertise and passion are priceless to a small company like his employer, machine tool manufacturer Nishijimax (annual revenue: $30 million). Just one problem: Katsuya is 72 years old. That's why he spends Sunday afternoons at home transcribing everything he knows about spindles into his computer. He wants to make sure his wisdom reaches the next generation. "I am not just doing it for myself," he says. All over Japan, companies are bracing for a demographic wave that will wash away many of their most experienced employees. The Japanese call it their "2007 problem." Beginning next year, members of what Japan considers its baby boom generation will start hitting 60 and dropping out of the workforce. Some might postpone retirement, but they can't work forever. Plunging birth rates mean there won't be nearly enough young people to replace them. "We face a big problem," says Shigeyoshi Yoshida, executive director of the Japan Aging Research Center. "Over the next three or four years, 10 million people will retire." Japan is starting to lose workers just when it needs them most. After more than a decade of stagnation, the Japanese economy is growing again. The unemployment rate was at an eight-year low of 4.1% in March. Employers began complaining about a labor shortage early last year, the Bank of Japan says, and it's bound to get worse. Japan's population fell in 2005 for the first time, to 126.1 million, and is expected to shrink by nearly 38 million by 2050. • Pushing the official retirement age from 60 to 65. • Encouraging more women to work. • Admitting more foreign workers — controversial in a country with a deep distrust of outsiders. Last week, I watched the chief female clerk of my local wholesale food outlet teach a timid, fiftyish man how operate the cash register. She did it by putting him behind the counter and letting him serve the midnight customers. Now, I am patient and forgiving...but when it is midnight, I really do want to get home. I kept smiling and making encouraging sounds as the fellow fumbled his way through the various small actions one must do in order to process a sale. Without even a trace of self-conscious mirth, he managed to fail at the performance of every single step of the operation. Being served at midnight by a total incompetent was...shall we say...exhausting? Today, the outlet threw in the towel on hiring enough workers to both manage the stock and run the cash registers. Now if you want someone to ring up your purchases, you have to tap on a bell, summoning an aproned worker from the store's aisles. The local Yoshinoya has also upped its offers in terms of wages. The sign in the window now advertizes 1200 yen an hour for the morning shift; 1250 yen an hour for the graveyard. Amanoterasu-omikami, retail outlets were paying 850 yen an hour in 2003! It is difficult to imagine how the retail sector in downtown Tokyo will cope with the accelerating intensification of the labor crunch. Already near my office every other worker in the retail sector has a badge reading Oh, Toh, Cho or Chin (by the way, can someone explain to me, in simple terms, so that I might understand, what visa category covers retail clerks?). The local McDonald's has even experimented with hiring the mentally handicapped. One third of the population of the hamlet of Shida makes her way to the Watarido bridge. Hanno-shi, Saitama Prefecture. April 22, 2006. Photo by MTC.